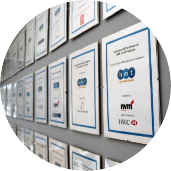 HMT has an award-winning team of financial and taxation due diligence specialists, who apply their strong experience and capabilities with a hands-on advisory approach. Due diligence is an important part of any acquisition or fundraising process. It gives the buyer increased comfort through an independent expert’s assessment of the risks and opportunities of the proposed transaction. It helps to reduce the risk of post-transaction surprises as well as providing a sound base from which to plan the post-deal integration strategy and growth plan. Our due diligence services have been developed to meet the needs of the mid-market sector, to include: vendor due diligence, acquisition due diligence, flotation and reporting accountant work. Our clients see our due diligence role as an advisory service as part of their transaction process, working alongside themselves and their other advisors to help deliver the deal. We design our approach around your needs covering historical trading trends, forecast reviews, taxation and working capital assessments. Our due diligence specialists will identify key business issues through our rigorous and risk tailored business analysis process. We will then work with you to resolve these issues with a reporting method designed to suit each client. We have a reputation for giving opinions, both verbally and in writing, as well as proposing solutions rather than presenting clients with facts to form their own conclusions. Winning Due Diligence Team of the Year at the Thames Valley Deal Awards 2017 is testament to the quality and reputation of our team’s market leading position across the South of England. In the past 12 months, our due diligence team has completed over 20 deals and have worked with 14 different private equity houses on due diligence assignments. We have a reputation for giving opinions, both verbally and in writing, rather than presenting clients with facts to form their own conclusions. Our due diligence team has completed over 20 deals in the past 20 months and we have worked with 14 different private equity this year. 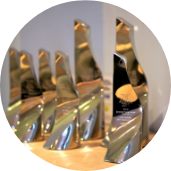 We have been awarded Due Diligence Team of the Year at the 2017 Thames Valley Deal Awards. Want to hear more about our due diligence expertise? Contact our Partner Paul Read on 02037 059105 or via email.